Our most recent VALOR session landed us in historic Richmond, VA, where we had the opportunity to witness our Commonwealth legislature in action. Virginia’s legislature is unique in that it holds to the principles of our founding, where political leaders remain citizen legislators. 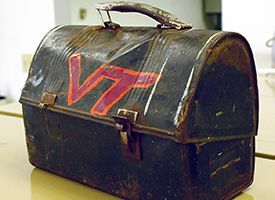 Our leaders still get to pack up their lunchpail and go to work as the rest of us. This creates some accountability to their constituents, as they have direct access to them while at work. As you wonder around the capital, you can see many symbols of this lost principle in the architecture. We were privileged to have Mark Greenough, director of Capital tours to give us an animated and fact filled tour of the old houses. He was truly a wealth of knowledge, and his passion floweth in every word. It was he who brought this history to life for us during the tour. He spoke of Washington’s statue with great honor and respect. Most noticeably in the statue of George Washington, that is prominently displayed between Virginia’s old senate and house rooms, is Washington’s sword yielding to a plowpoint. While the call was for Washington to remain in power as king, as so many great leaders had done in the past, he chose to humbly retire his sword for a plow. What a testimony to humble servitude. If the walls of the capital could only talk, what great stories they could tell. As Mr. Greenough passionately said, “these are rooms of great debate and defining decisions. The Virginia General Assembly is described as “the oldest continuous law-making body in the New World.” Think of the great leaders who have served in the Virginia legislature: Patrick Henry, Thomas Jefferson, James Monroe, James Madison, the list could go on. These have great leaders discussed everything from succession from Britain, from the Union, to Meat Inspection and feral cats solutions. While all of the topics of debate in the Virginia General Assembly are not as riveting as ratifying the constitution, or debating whether Lincoln’s troops would be allowed safe passage through to South Carolina, it still affects every one of our lives today. Know your legislative body, you may just pass them on the street or at the local bank. Don’t be afraid to engage them, because great leaders are servants at heart.